The representative position of the briquette press in the ball press industry is the earliest and most consolidated, because the use of coal resources in China is inseparable from the briquetting press. 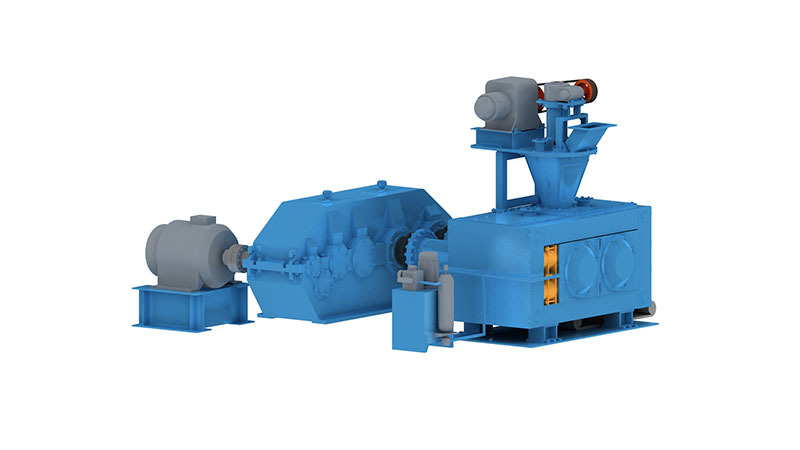 At present, the commonly used pulverized coal forming methods mainly include cold press forming of a binder and cold press forming without a binder. (4) The amount of briquette used in industry is large, and the amount of binder needs to be correspondingly large. The binder should have sufficient sources. Based on these circumstances, it is necessary to strengthen the research on the binderless molding method from a long-term perspective. Of course, applications with adhesive molding will continue to evolve. That is, the pulverized coal is formed without any binder and by the action of external force. This method has been widely used in many countries to make peat and lignite briquettes as household fuels or industrial fuels. For bituminous coal and anthracite, because of their high degree of coalification, it is difficult to form a pulverized coal without adhesive. At present, the binderless molding process has not been widely used in the industry, but the research work in this area has not been interrupted in the world. The clean coal wet coal rod (wet coal rod) used in China’s synthetic ammonia industry is also an example. Pulverized coal binderless molding does not require the addition of any binder, which not only saves a large amount of raw materials, but also maintains the carbon content of the briquette, and simplifies the molding process, etc. It is a pulverized coal molding; an important development direction.